These are a heavy duty version of our profiling tools with sintered diamond cutting heads as opposed to vacuum brazed. 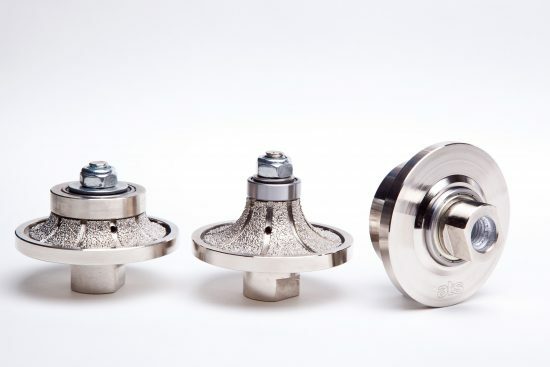 These are a heavy duty version of our profiling tools with sintered diamond cutting heads as opposed to vacuum brazed and as such will have a much longer life span. As much as five times the life of a vacuum brazed profiling tool. 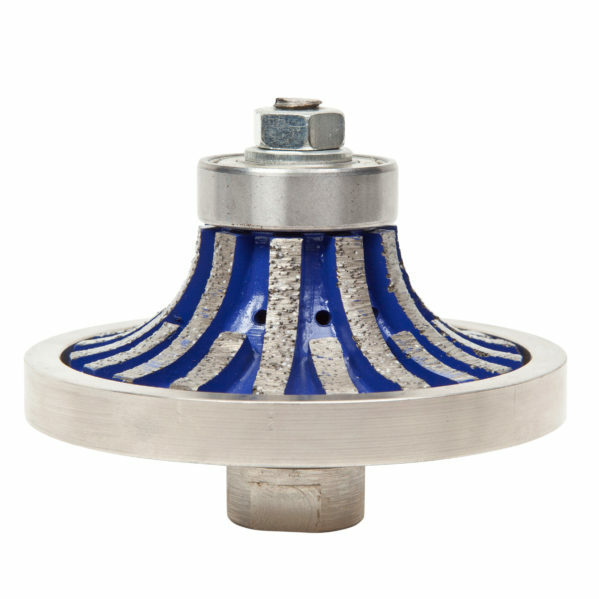 They are designed for rapid and effective stock removal for heavy users before using a vacuum brazed profiler to refine the shape. Particularly useful for abrasive landscaping products such as sandstone, portland stone etc as well as concrete. These need to be run at under 2500 rpm on a polisher/grinder. 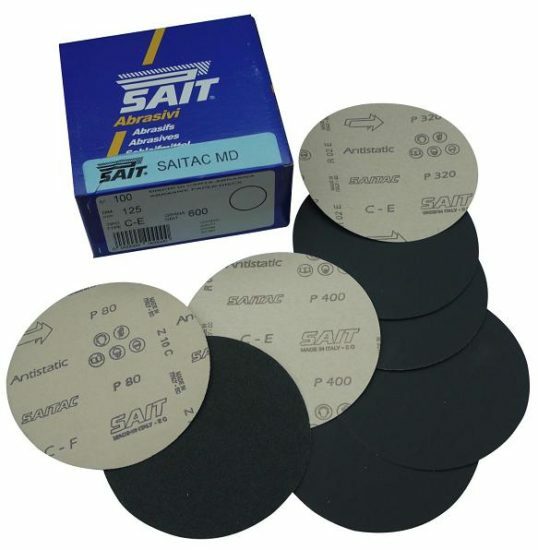 MD-SAITAC Abrasive plain backed paper Silicon carbide discs for use with a 125mm backer pad and spray adhesive. 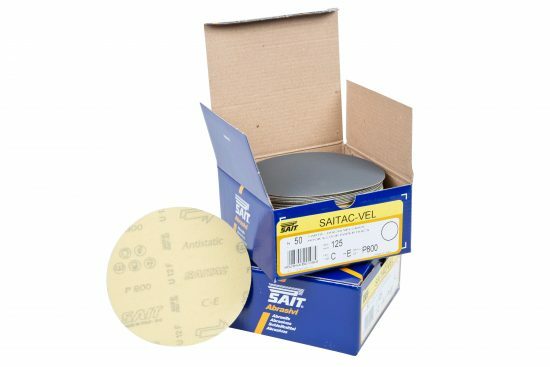 GD-SAITAC-VEL Abrasive Velour backed paper Silicon carbide discs for use with a 125mm velcro backer pad. 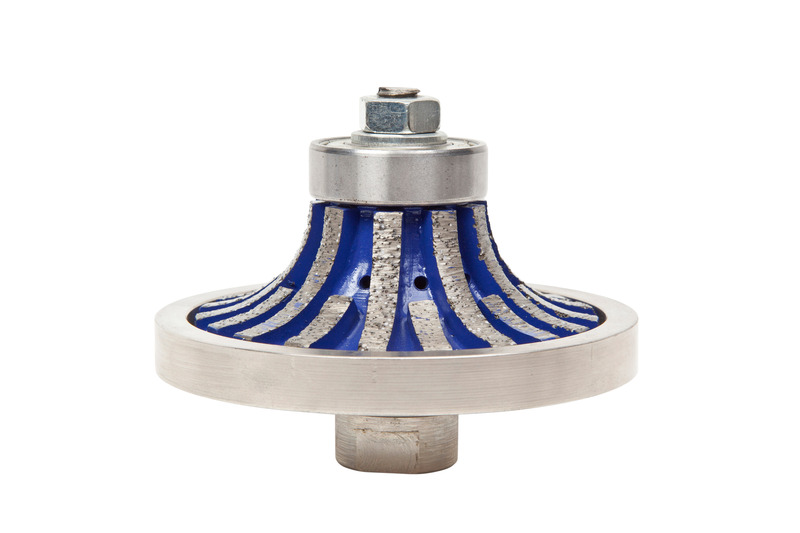 Vacuum brazed diamond profiling router tool designed for variable speed hand held grinders and polishing machines with M14 thread fitment.